The heatwave may be over, but Summer’s not finished yet in Camberwell. There are a couple of events coming up in the next few weeks. First is the Brunswick Park Summer Fete, this Saturday the 18th. Surrey Docks farm will provide a petting zoo, and there will be games, competitions, and food and drink. It runs from 1pm to 4pm. Now in its 4th year, the Fair [is] a chance for all the community to come together and celebrate themselves, each other and the local area. The fair will offer 3 music stages, 30 stalls showcasing local community organisations and independent traders, games, food, bars and a special daytime carnival led by street band Kinetika Bloco. ‘Rare Doings at Camberwell’ – a Heritage Lottery funded project to explore the roots of the Fair. A flying update with some quick news about local restaurants. Golazio is a new bar opening on 14th June at 59 Camberwell Road. The bar is inspired by Italian football of the 90s, and will sell pizza by the slice and Italian craft beers. 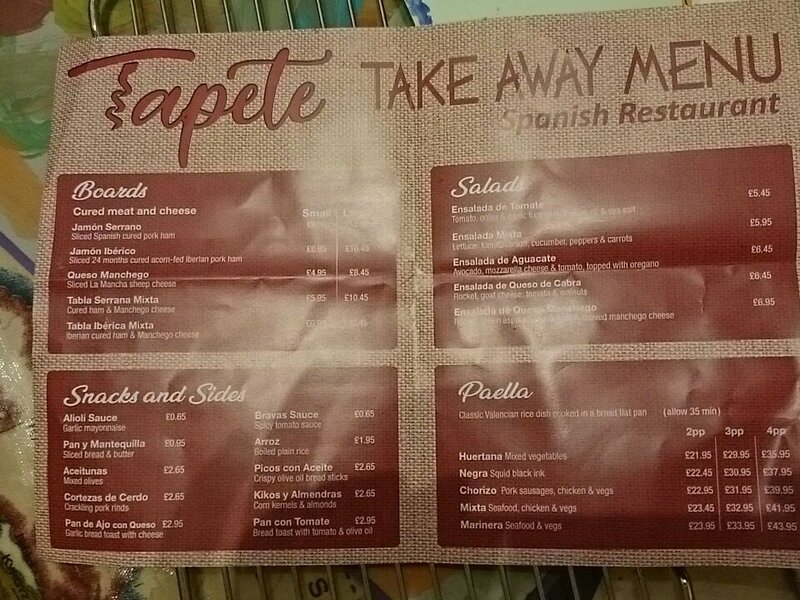 Tapete is a new Spanish restaurant now open at 119 Grove Lane (the former Buddha Jazz). 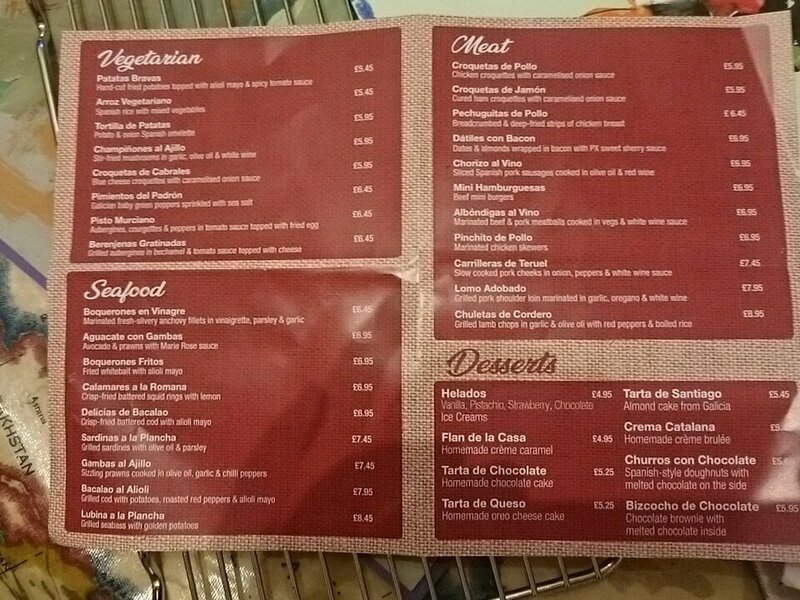 Can’t find any online presence, but you can see a photo of their menu (one, two). Good Neighbour have a series of events coming up in June, from live music in the basement to a battle of the cheeses. Fladda fish & chips was sold at the beginning of May (I missed that news entirely), but continues operating under the new owner. No idea of why or plans for the future. That’s all. Enjoy your evening. This year’s Camberwell Arts Festival will explore the theme of All’s Well – the motto adopted by the Metropolitan Borough of Camberwell when they were granted the right to a coat of arms in 1901. For nine days, Camberwell is set to become a crucible of artistic and scientific experimentation as arts and health practitioners collaborate to explore the unique mix of the area. Part science lab, part art studio All’s Well will offer a varied programme of exhibitions, events, talks, walks, workshops and open studios inviting you to take the Camberwell Arts Cure. The varied programme includes easeful exhibitions, soothing shows and well‐being workshops. Providing the opportunity to sing aah with the House of Praise Gospel Singers, join the Strange Women Society of South London to ferment kimchi or untangle your weekly woes with Knit and Nibble. Check out new art by recovering addicts and check‐in emotional baggage at The Embodiment Cloakroom. From an art health and beauty spa to autism friendly arts, a doggy dress up parade to African drumming, you can get your daily dose of art at this year’s Camberwell Arts Festival. It all kicks off on the Green at 12pm on Saturday. There’s a full line‐up in the brochure (you might also find a printed one in a local hostelry). Camberwell Free Film Festival is back for another year. Starting on Thursday 15th, there will be a free screening every night (bar one) for the next ten nights—plus a special bonus (more on that in a sec)—at diverse venues across the neighbourhood. I can personally recommend Ben Wheatley’s fun shoot‐em‐up Free Fire (showing at Cycle PS) and John Carpenter’s capitalist‐critique alien invasion film, They Live (at The Cambria), and am looking forward to seeing the much‐heralded growing up tale The Florida Project (at The Crooked Well) and the hand‐painted animated biopic Loving Vincent (at Cafe at the ORTUS), but there’s plenty in this line‐up to cater to everyone. The bonus feature is The Shed at Dulwich, in which VICE journalist Oobah Butler managed to make a non‐existent restaurant into the highest‐rated on Trip Advisor—and then decided to open it for one night only. It’s a short film with two screenings at The Phoenix on Sunday 18th, each followed by a Q&A. The full line‐up of the Camberwell Free Film Festival is online, and there are posters and leaflets at selected venues around Camberwell. Most (all?) films are first‐come, first‐served. Plans have been (re-)submitted for a huge new housing and mixed‐use development on the site of Burgess Business Park. Camberwell Union promises 505 new homes (35% affordable—although that’s already being disputed as ‘not viable’), new streets and public realm, and mixed commercial, creative, and retail units (including a microbrewery). You can see the developer’s brochure [PDF], and follow or comment on the planning application by searching for reference 17/AP/4797 at Southwark’s Planning Search (which really should provide shareable URLs). The former Nape site, on Church Street, looks set to reopen under the name Good Neighbour. Same owners, new management, from what I can tell from their licensing application. @foodstories on Twitter says there’ll be “a wine bar, sharing plates, mini pizzas, and music downstairs” but I haven’t seen any confirmation of that. The bridge on Camberwell Grove looks set to remain closed for a while yet as Network Rail have said it requires further strengthening work before Southwark can start their reopening work—sometime in the Summer. The bridge should reopen in more or less the same scheme as before it closed, pending a longer‐term reevaluation. Update On 14th March Andy Pryor on Twitter let me know that he’d “got a letter from Southwark and Network Rail saying the works on Camberwell Grove bridge are set for 14th May — 2nd August, due to reopen to vehicles under 3 tonnes on 3rd August”. Finally, while there’s no news yet on getting Santander bike docks in Camberwell, it seems Southwark have decided on a multi‐operator model and will allow dockless bike‐sharing operators Mobike and Ofo to begin placing bikes in the borough. Camberwell and Rotherhithe have been earmarked as the areas of initial focus.